has just celebrated the 70th anniversary and made an exciting present for its true friends to mark this special occasion. 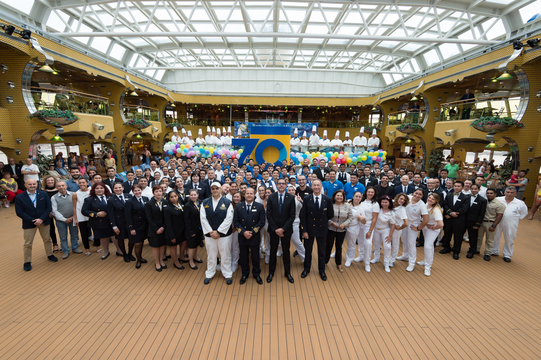 Costa Cruises took 3,000 members of CostaClub on a unique adventure. During a 12-day voyage on Costa Pacifica, cruise lovers visited several welcoming ports of call in the Mediterranean. Great party, delicious surprises, exciting cooking events, competitions, a concert of beautiful Gloria Gaynor, and even more – Costa Cruises and its friends will remember this birthday cruise for a very long time.